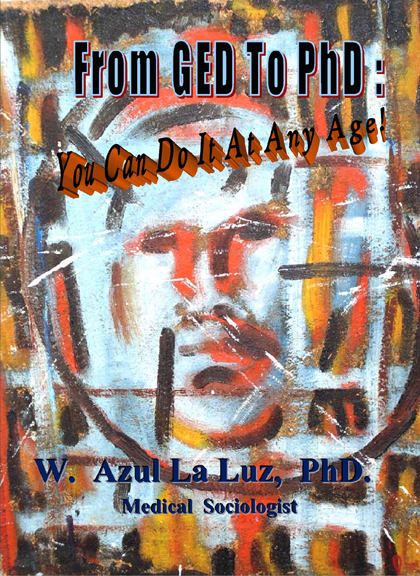 This book is an inspirational and compelling look at one man’s struggle to go from street-thug, gang member, and teen heroin addict to become a Doctor of Medical Sociology (PhD.). It demonstrates how he learned to read in his late teens to overcome post- traumatic stress disorder, street-level trauma, learning disabilities, and while in prison, learned to read and earned a GED. This little book is a must read for any person thinking of getting a General Equivalence Diploma (GED), struggling through life and thinking of quitting, and anyone who has ever thought about going back to school at any grade or any level – from high school to college. 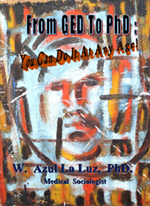 Contact NuevaLight Enterprises to purchase a copy of the book, or order and pay through LuLu.com.